Lately, quite a few friends of mine have asked me for sewing advice. Just to get things straight, I completely consider myself a beginner. Still, I know what it’s like to be starting out and with a budget in mind. It’s easy to go to a fabric shop and feel the need to buy EVERYTHING. There’s a tool out there for it all, but what exactly do you NEED? And what can you get by without? 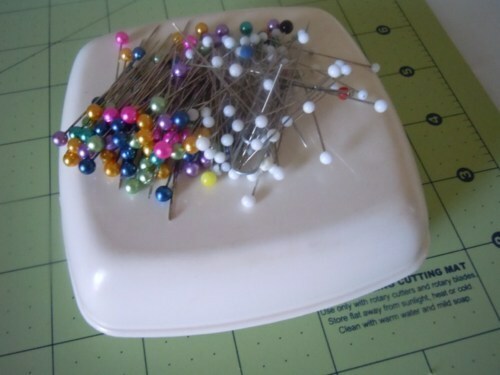 Here is my list of basic sewing essentials. With these few supplies, I feel like I can do most anything at my skill level without breaking the bank, but still with the efficiency proper sewing tools often provide. This list is intended for those with a sewing machine already, so I didn’t include needle, thread or fabric. 1. Pins: DUH! Really? Do I have to explain why you need these? 2. Iron: I hope you all have an iron anyway (come on people, don’t be wrinkly). For sewing, you can’t live without this. 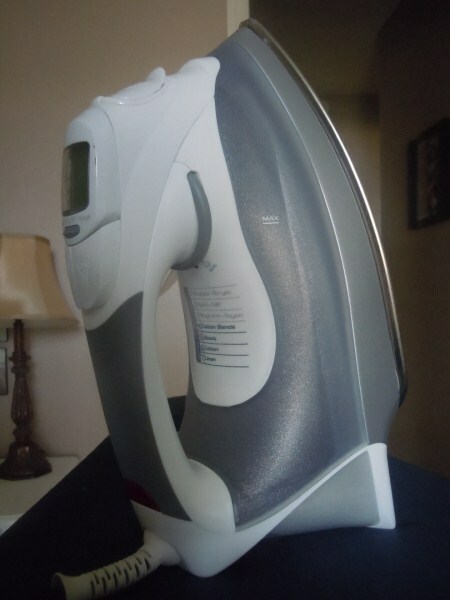 Whether you are getting the wrinkles out of your fabric or marking your hems, you’re going to eventually need an iron. 3. 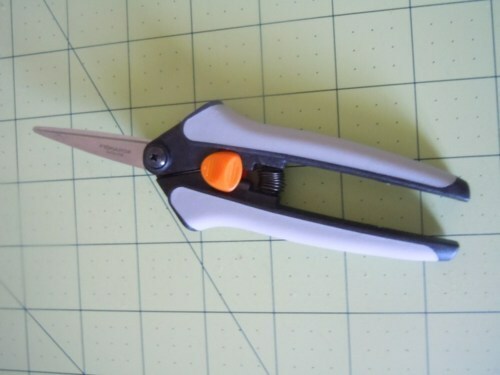 FABRIC scissors. Honestly people, regular craft scissors may cut it (PUN! haha!) for a while, but life is so much easier with a good pair of fabric scissors. If you want to save money, just by a small pair like mine here. I have found that you can do everything with a small pair, but it is much more difficult to do everything with the standard, larger size. 4. Quilter’s Ruler: You NEED this. Again, you could use a standard ruler, but the little sliders you see at the left of the ruler REALLY help guide you when you are doing your hem or any other measuring at the ironing board. 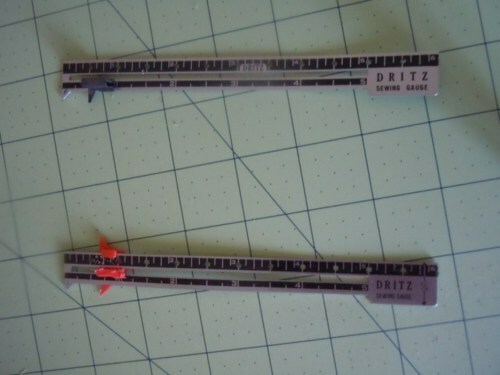 Plus, these are smaller and therefore, more convenient, than a typical ruler. 5. Water Soluble Writing Utensils: Markers, Pens, Pencils, whatever. Marking on your fabric with something that will come out with water is essential if precision means anything to you. 6. Rotary Cutter and Mat: This and the rotary mat are probably things you can live without. 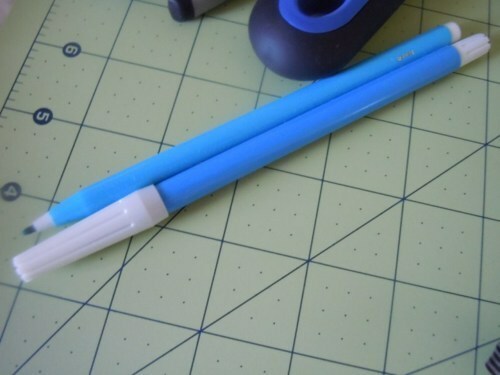 However, I included them because they are SO handy as you begin sewing more and more. 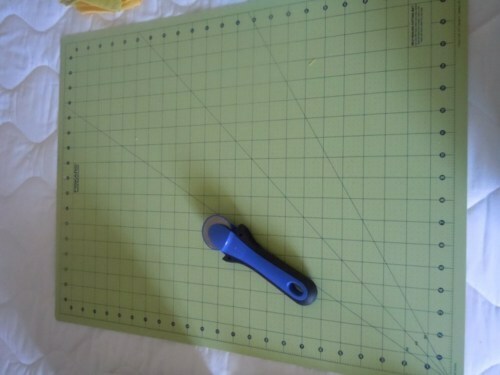 Using these tools, it’s much easier to cut a larger portion of fabric and make bigger measurements. If you are pinching pennies or don’t have a lot of space to work with, don’t buy these first. But FYI: somewhere, someday, you will eventually cave. 7. 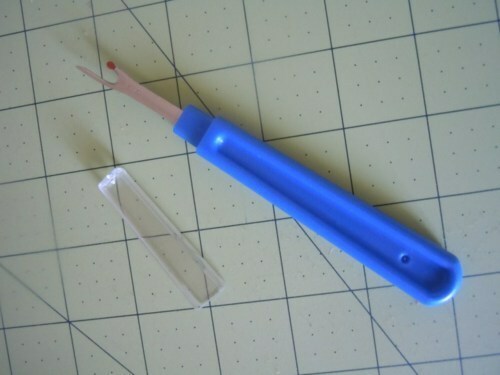 Seam Ripper: The fun part. Just when you’ve ALMOST finished your project, you realize you’ve made a mistake and that the seams HAVE to go. Unless you’re perfect, buy these ASAP. 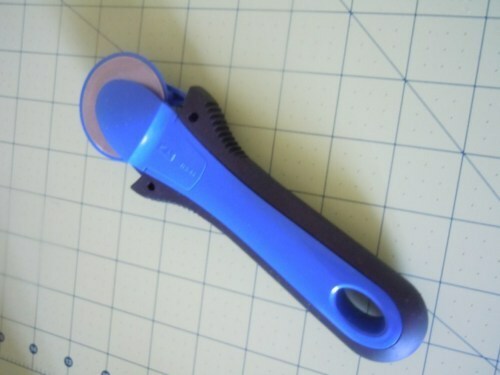 Unlike scissors, they are a safe way to rip out your seams faster, without risking tearing up your fabric. So, there you have it; my advice on basic sewing essentials. This is based on my own experience, so comment below if I’ve left anything important off the list!